A mother and her five children fled Iraq in November 2015 to seek refuge in Europe. 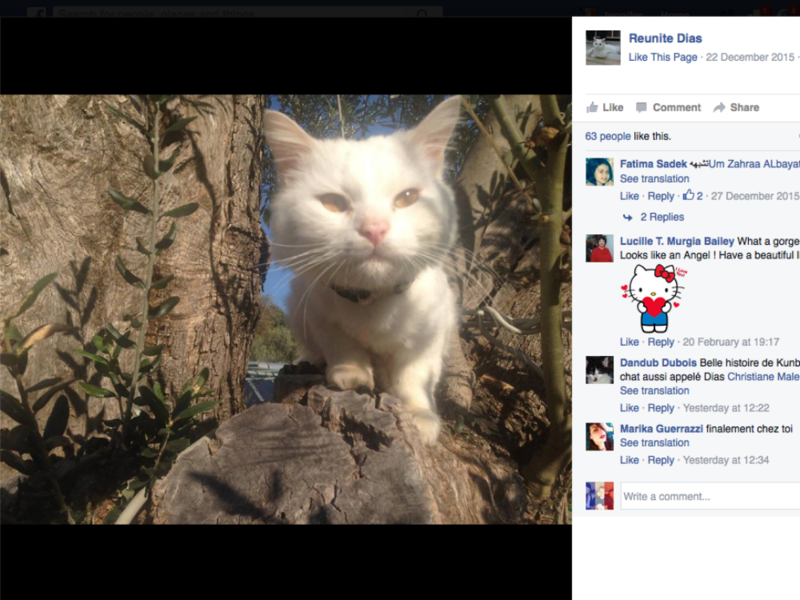 Adamant not to leave behind their beloved cat: Kunkush, they took him with them (we love this story already), and together the family of six trekked to Turkey where they got a rubber dinghy over to the Greek Island of Lesvos. 100,000 refugees came to the island in November alone and upon arrival, the overwhelmed cat escaped from his basket and was separated from his family in Greece. Days later he was found by aid workers in a nearby fishing village, searching for his family, but they had already been forced to move on, leaving Kunkush – who was supposedly being bullied by the other cats on the island – to fend for himself. If you’re not crying already, you will be soon. 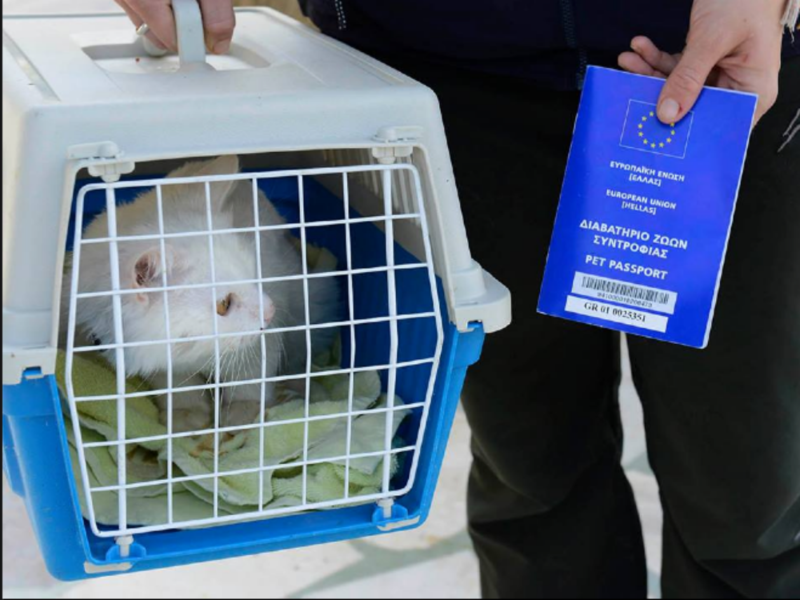 Nicknamed Dias by the vets that he was taken to, the adorable cat enjoyed two months of comfort food and cuddles, before being issued with his very own pet passport (we won’t dwell on the irony that human beings from Syria can’t get passports, but cats can). Seriously, this is beyond cute. Then, a saint called Amy Shrodes took him to Berlin, where he was given German foster parents (yes he even had foster parents!) while the volunteers focused on locating his family. It was then that an Internet campaign was created to reunite them. Both a Facebook page and a Gofundme page were set up to raise awareness and funds for the cause and before long Kunkush had almost 5,000 supporters. Like all epic tales, this one has a very happy ending. Kunkush’s family were located in Norway on Feburary 14th and so he flew out to Norway with a £470 plane ticket funded by his Internet campaign, and was met by them for a very tearful reunion. Luckily for us their reunion was captured on camera but be warned, it is a real tearjerker and it will ruin your make up. We want to take this time to thank you all. Your support and encouragement helped reunite this family. This shows how everyone can make a difference, regardless of where you are. We believe everyone has skills that are useful so please use your skills to help others. You can start with your local community – helping at an organization that is passionate about what you are passionate about and then from there, the possibilities are endless. Thank you all again. We could not have done this without you. If you’re going to watch anything today, please make it this video.